Recuva - File Recovery! Recuva (pronounced "recover") is a Windows utility to restore files that have been accidentally deleted from your computer. This includes files emptied from the Recycle bin as well as images and other files that have been deleted by user error from digital camera memory cards or MP3 players. It will even bring back files that have been deleted by bugs, crashes and viruses! Undelete 360 is one of the best software to restore files accidentally deleted from your computer. 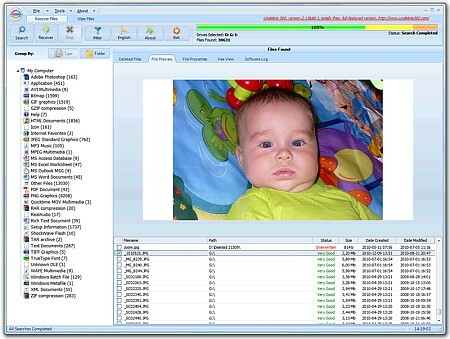 It is made on fast and efficient algorithm that browse, search and recover files lost due to a different factors: accidental deleting, viruses, software and computer failures. It can recover files deleted from your Computer drives, USB drives, Camera devices, Pen Drives, Memory Cards and supports both file recovery and folder recovery. CD Recovery Toolbox tool was developed for recovering damaged files from different disk types: CD, DVD,HD DVD, Blu-Ray, etc. You can use it to restore information lost as a result of some mechanical damage of the disk (scratches, chips, different spots on thesurface) or as a result of incorrect recording. Thus, the program can recoverdata that was considered lost. 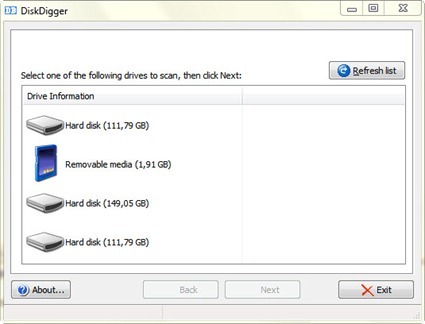 The CD Recovery Toolbox Free tool scans any CD and DVD disks and finds files and folders located there. We should mention that there can be some information on the disk that cannot berecovered. Not all of the files and folders can be found - that depends on the degree and location of the damage. Therefore, the CD Recovery Toolbox tool finds the possible maximum amount of information.